Don't your organization and your patrons deserve first class drink tickets? The Blue Ribbon drink ticket is decorated in shades of blue with a blue ribbon logo. 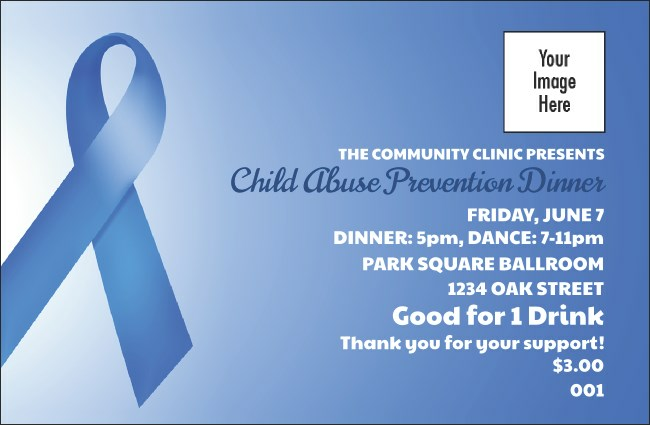 Part of our Blue Ribbon Event Kit, you can use this ticket in conjunction with events to support child abuse awareness, prostate cancer, anti-smoking campaigns, and just plain excellence.